An exercise for teaching the personal-letter format. 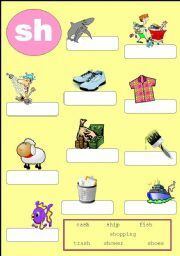 Students have to fill in the blanks, using a phrase bank. It is designed for beginners who are learning how to write. 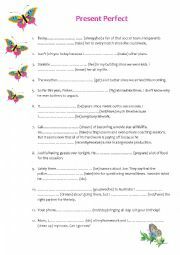 Worksheet for intermediate and upper-intermediate levels. 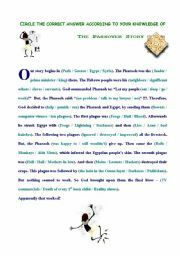 A cloze exercise which tells the story of the Ten Plagues. 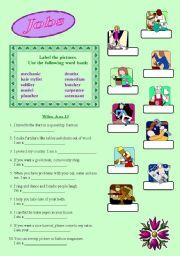 Woksheet for working on jobs vocabulary for elementary-level students. 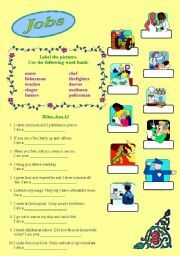 A worksheet for working on jobs vocabulary for elementary-level students. I hope you find it useful. Review of phonics for young readers. A review of the three simple tenses (past, present and future). Enjoy! Review of phonics for young children who are learning to read. 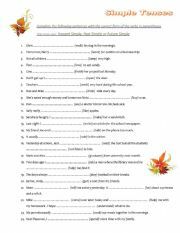 A worksheet for reviewing Past Simple in contrast to Present Perfect. I hope you find it useful.